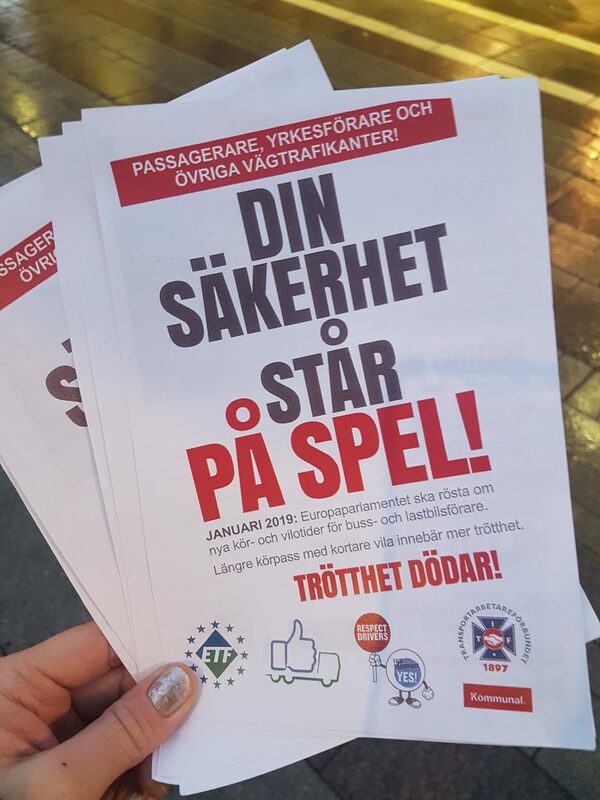 Activists from Swedish ETF affiliate Kommunal braved the snow of an early morning in January to inform passengers and drivers all over Sweden about the upcoming vote. 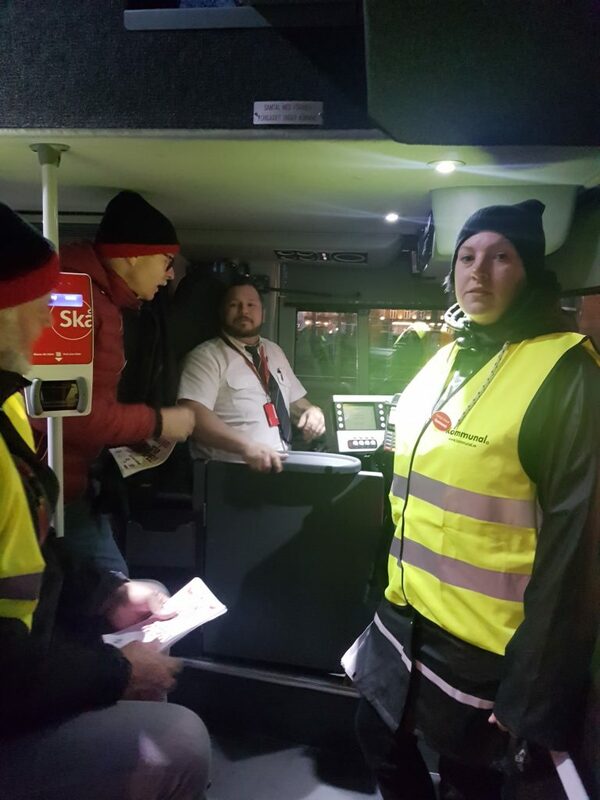 More than 25 bus stations and various company depots were visited by Kommunal reps, in cities including Malmö, Stockholm, Uppsala, Umeå, Kalmar, Karlstad, Örebro, Kristianstad, Helsingborg, Nyköping, Östersund. In total, thousands of passengers and drivers – all eligible to vote in the EU election – learned about Thursday’s vote and what their MEPs are voting on.